Oakleaf lofts are a small company founded by Joel Mitchell. 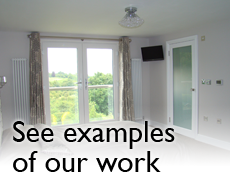 Joel is a highly qualified and passionate Carpenter and has been specialising in loft Conversions since 2002. The company was founded as Joel wanted to concentrate on building conversions that allow him to focus on the highest possible standards. The team consists of highly qualified and experienced tradesmen. Oakleaf Lofts has gained many recommendations from happy customers and is committed to ensuring your home is treated as a unique project, keeping you involved at each stage of the build. Most of our business is through recommendations and great care and pride is put into each and every conversion. The vision for the company is not to complete large amounts of conversions in a short space of time, but to complete high quality and unique structures designed to suit your needs. Whether you want to add value to your property, increase your living space or create a working space, we can advise you on your conversion from beginning to end. 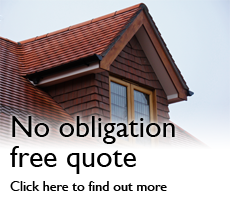 Oakleaft Loft Conversions are based in Kenley, Surrey. We regularly work in Purley, Croydon, Whyteleaf, and parts of London.